After almost a year of painful testimonies which helped wipe some $40 bln off the value of the big four banks, a landmark report into financial services recommends oversight of regulators, an overhaul of mortgage broking and of fees paid for advice. It could have been worse. 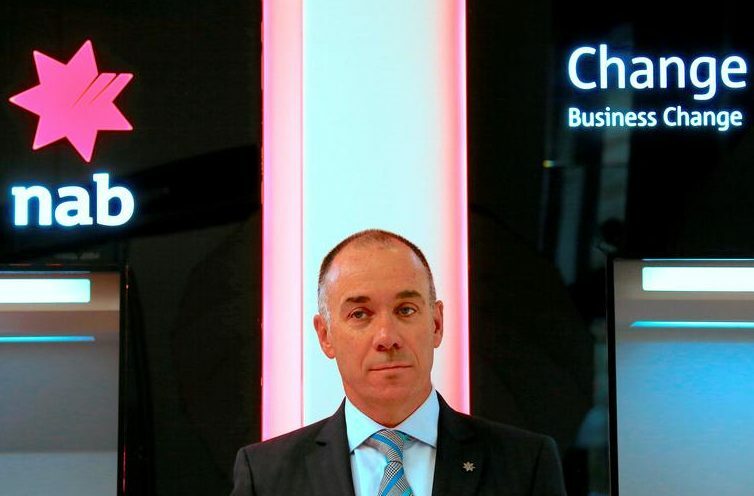 National Australia Bank (NAB) CEO Andrew Thorburn poses for photographs in front of automatic tellar machines (ATMs) during an official event at a branch in central Sydney, Australia, November 1, 2017. Picture taken November 1, 2017. Australia’s Royal Commission into misconduct in financial services has recommended an “oversight authority” be set up to monitor the work of corporate regulators, according to its final report published on Feb. 4. It makes 76 recommendations in total, including changes to remuneration structures and better compensation for wronged consumers. The report does not recommend any change to Australia’s “twin peaks” model, which sets out a split between the Australian Securities and Investments Commission (ASIC) and the Australian Prudential Regulation Authority (APRA). The government described the report as a “scathing assessment” and said it would act on all recommendations. “From today, the banking sector must change and change forever,” Australian Treasurer Josh Frydenberg said. According to a September interim report, all four major Australian banks charged customers for services not rendered, and some took fees from dead clients’ accounts. The findings criticised the industry’s ethical standards, governance and regulators’ efforts to police them. In an interview with the Financial Times on Feb. 4, Australia’s competition regulator said it would “fix the cosy oligopoly” in the country’s banking sector, and punish misconduct in the courts. Investors wiped more than A$60 billion ($43 billion) from the market value of Australia’s four largest banks over the course of 2018.